Relax and take your time when exploring Vancouver Island! This westernmost part of Canada and the largest island on the west coast of North America, is all about its laid back life style, small communities, artisans, vineyards, wildlife and outdoor pursuits. Southern Vancouver Island south of the town of Ladysmith is located below the 49th parallel, has a temperate to warm climate and is home to one of BC’s newer wine regions. Not only is the south island home to wineries, but distilleries and many craft breweries have flourished here as well. The main wine region in the Cowichan Valley, between Victoria and Nanaimo, as well as the Saanich Peninsula and expanding up Island to the Comox Valley have all seen a growth in the wine industry, with small family owned wineries producing award-winning wines. Specialty food producers and organic farms have embellished the Island’s “foodie” reputation, showcased by festivals such as the Savour Cowichan Festival running from September 29 – October 8, 2017. As surrounded by the ocean as it is, Vancouver Island is of course a water sports paradise. Both Campbell River and Port Alberni call themselves “the salmon capital of the world”, attracting avid fishing enthusiasts. Boating and kayaking opportunities are everywhere and the island’s west coast, especially between Ucluelet and Tofino offers fantastic surfing, while the Cowichan region’s Nitinaht Lake is a unique spot for great wind surfing. Also taking to the waters around the island are numerous whale watching boats. In spring and fall the grey whale migration from Mexico to Alaska, and back, passes along the west coast, offering wonderful opportunities to see these giant creatures. During summer and early fall, orcas, both resident pods and transient pods are frequent visitors to Island waters. In recent years, humpback whales have been increasingly visiting these waters as well. Aside from whales, you can find seals, sea lions, otters, porpoises, bald eagles and a wide variety of birds on your whale watching trip as well. Wildlife on land that you may run into include deer, elk, black bear, wolf and cougar. In fact, the cougar population on Vancouver Island is the highest per capita population in the world. The island offers fantastic hiking trails at all difficulty levels. 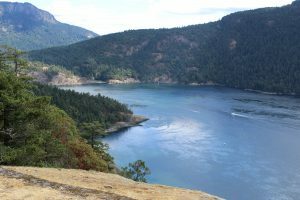 The most famous of these trails is the West Coast Trail, a multi-day wilderness trail on the west coast that is a challenge for even experienced hikers. Generally taking from 5-7 days, reservations must be made to hike this trail. Recently a third entrance to the West Coast Trail at Nitinath Lake has opened, allowing for a 2-3 day hike. On the northern tip of the Island Cape Scott Provincial Park also offers a challenging hike, not to forget Strathcona Provincial Park, BC’s oldest provincial park, located mid-Island. 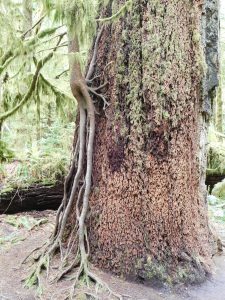 Many, many more great trails surrounded by forests and some of the largest trees in the world, or offering spectacular ocean views are found all over the island. 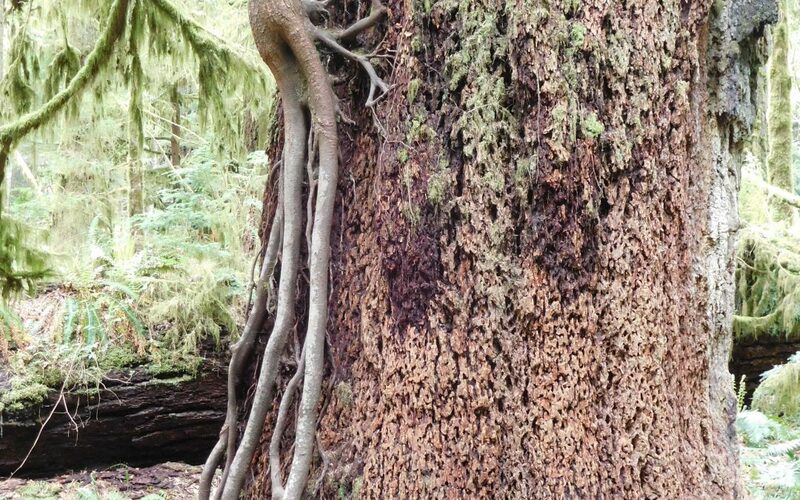 Visit the Avatar Grove near Port Renfrew on the Island’s south west coast to see the largest fir tree in the world and Canada’s “gnarliest tree” and don’t miss Cathedral Grove on the way to Port Alberni for a pocket of old growth forest. 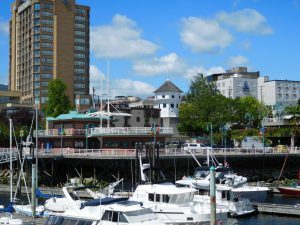 No visit to the Island is complete without at least a day in Victoria, BC’s capital city on the southern tip of the Island. Famous Butchart Gardens and the Royal BC Museum are must sees, but wander around the inner harbor and the waterfront to experience the “flavor” that makes Victoria such a great destination. The Island’s second largest city Nanaimo also offers a wonderful harbor walk with never ending views and funky little eateries on the docks. 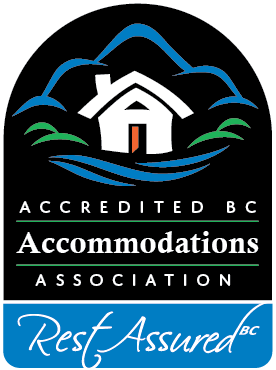 Wherever you go, your Vancouver Island B&B hosts are a great resource to point out all the interesting places in their area, so you can fully enjoy a little Island time!